Whether your new address is just around the corner or across the state, SouthlakeResidentialMovers.com can be trusted to move you and your belongings with the consideration as if it were our own possessions. 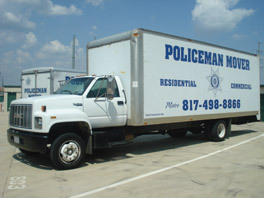 Locally owned by North Texas Police Officers Policemanmovers.com, we are fully licensed and in compliance with all regulations as set forth by the Texas Department of Transportation. We provide moving and packing service to both residential and commercial clients throughout the state of Texas. We are proud to have earned the trust of thousands of happy Southlake residents for over 10 years. 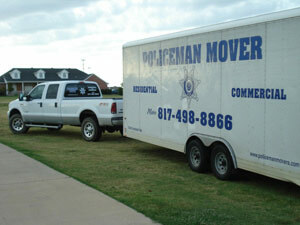 The Southlake Residential Movers team at Policemanmovers.com is staffed by reliable, skillfully trained moving professionals to ensure that your move is an easy one. Whether you are needing a residential move in Southlake, Texas, moving from one apartment in Southlake to another, or have an office move or commercial moving project, SouthlakeResidentialMovers.com moving company will provide you with an affordable and professional move. When trusting the men in blue to your move, you can always rely on us for professionalism, integrity and reliability at a price competitive to the moving industry. The Southlake area was settled by pioneers who moved there in the 1840s, but was not incorporated Southlake until 1956, four years after Lake Grapevine was finished. The population was 21,519 at the 2000 census. In December 2008, Forbes.com named Southlake the most affluent neighborhood in the United States based on average median household income estimates. Southlake is well known for its Southlake Town Square project, a shopping center located on State Highway 114 and Southlake Boulevard. Southlake’s Town Square is a hub that draws local residents together for dining, shopping and various family and community events. Southlake, Texas is a vibrant, exciting, and friendly place. Whether you are in the mood for shopping, recreation, a bite to eat, or a movie, Southlake definitely has something for everyone! There are close to 50 housing neighborhoods in the city, with most offering half to one-acre lots. Just like the award winning Town Square, each neighborhood has been planned with careful consideration towards preserving a balance between nature and community. If your family craves outdoor activities, you will be glad to know that the city of Southlake has over 620 acres of park land within two public and ten neighborhood parks. Beyond the area’s parks and lakes there is ample opportunity to enjoy Southlake’s weather while golfing. There are over 10 premium golf courses within a half hour drive of the city. Southlake residents are highly educated with more than 97% of residents having attained a high-school degree 40% a bachelor’s degree and 20% a graduate degree. It is this commitment to higher education that has created the atmosphere for a school system of the highest caliber. If you intend to move into one of Southlake’s beautiful master planned developments, you will find the housing and retail outlets combine with an extraordinary sense of school and community pride to create an undeniably strong quality of life for its residents. Rest assured you've come to the right place for assistance and information for your move in Southlake or to any city or town in Texas. Policemanmovers.com can take the stress out of your next important move.